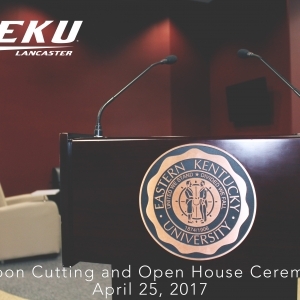 EKU Lancaster Center staff hosted a community ribbon cutting and open house on Tuesday, April 25, 2017, to celebrate completion of the substantial renovation on the facility. Click the images below to view photographs from the event. 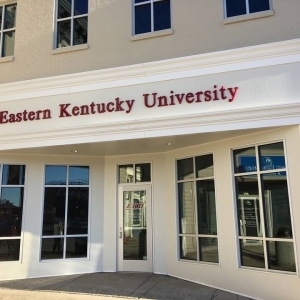 Eastern Kentucky University is partnering with HEWV Architects P.S.C. 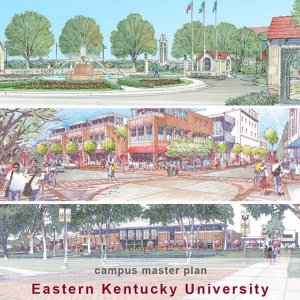 to develop a comprehensive New Campus Master Plan and Space Utilization Program for Eastern Kentucky University and the Eastern Kentucky University Foundation’s Properties. Properties include: EKU’s main campus, and regional campus sites in Corbin, Manchester, Danville, Lancaster, Hazard, Somerset.